One of QAE's special traditions is sending our 5th graders to IslandWood each Fall for four days of outdoor learning, bonding and discovery. 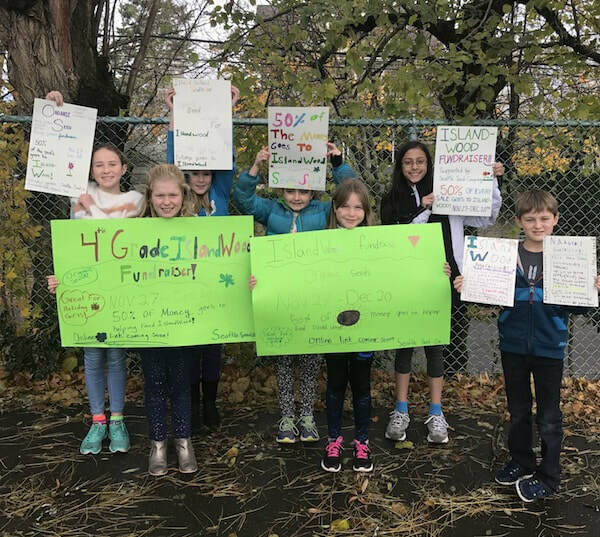 To make this incredible experience happen, the previous year the 4th grade classes fundraise for this adventure that they'll take part in when they enter 5th grade. All grades, families and guests are welcome to join our 8th Annual QAE Sounders Day and fundraiser for the 5th grade Fall 2018 trip to IslandWood! ​A portion of each ticket purchased will be donated to QAE for the 5th grade trip to IslandWood! Help our QAE students while enjoying a great afternoon of soccer with your Seattle Sounders! All paths point to IslandWood! 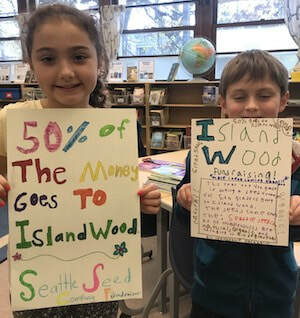 With your help, we hope to have a successful kick-off for IslandWood fundraising and carry the momentum throughout the year.